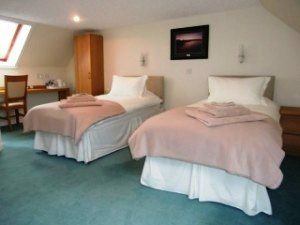 With super-king size double beds, that can be split into 2 singles, these rooms can be luxury doubles or spacious twins. ‘Morven’ and ‘Scaraben’ can be split into twin rooms. Our drapes and blinds give “black out” conditions when closed. Helpful when the sun rises before 4 am in the summer! 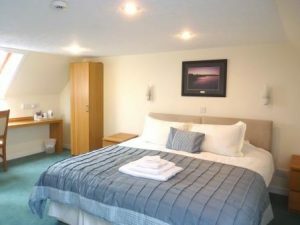 All our rooms are named after places in Caithness. Caithness is a relatively flat county with Morven and Scaraben the highest points. Not with the same difficulty to climb, these two rooms are on our second floor. We help you with your luggage.